Gist Lady Gives It To An Aunty Pressuring Her To Get Married. See What Happened Next!!! Lady Gives It To An Aunty Pressuring Her To Get Married. See What Happened Next!!! 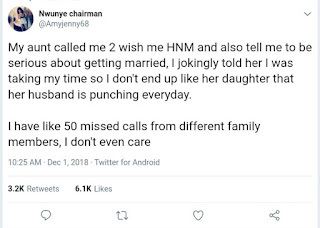 Nigerian lady whose aunty called and told her to be serious about getting married jokingly blasted her, see what next below..
"My aunt called me 2 wish me HNM and also tell me to be serious about getting married, I jokingly told her I was taking my time so I don't end up like her daughter that her husband is punching everyday. 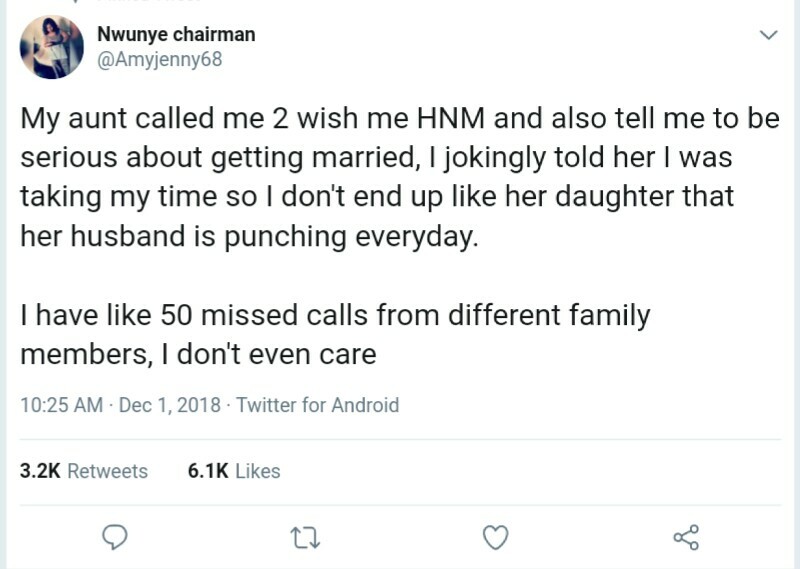 I have like 50 missed calls from different family members, I don't even care"